India Mike » India Travel » India Travel Itinerary Advice » Jaisalmer, Pushkar, Bundi or Amritsar? Jaisalmer, Pushkar, Bundi or Amritsar? I'm going to be in India in January. I'll spend some time in Delhi (3 nts), Varanasi (3 nts), Agra (2 nts), Jaipur (3 nts) and Jodhpur (2 nts). From Jodhpur I'd planned to go to Jailsalmer (2 nts) before my final stop in Dhikala (3 nts). Jaisalmer is where I'm second guessing myself. Most visitors that love Jaisalmer seem to enjoy 1) going out into the desert on a camel, perhaps overnight; and 2) shopping in the fort. I can see why most people would be interested in these activities but I'm not interested in either. I love sand dunes; I've been to quite a few. 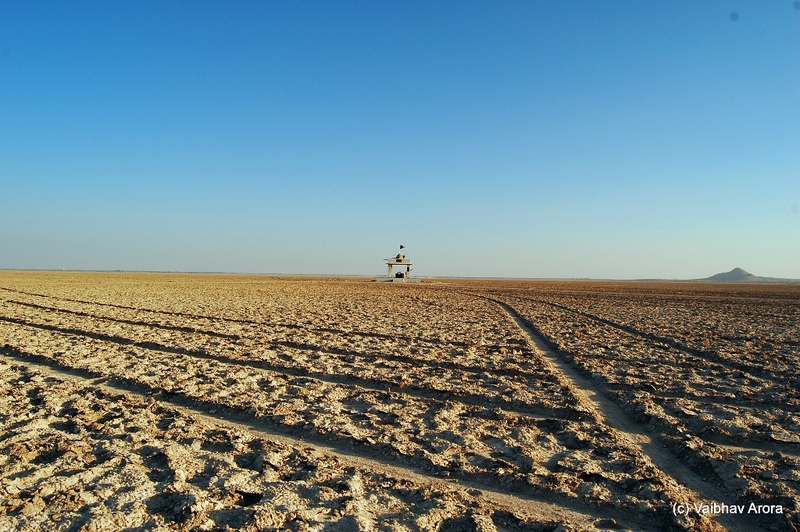 The Jaisalmer sand dunes seem relatively flat, tracked up, and covered with scrub. Not as appealing to me as some places I've already seen. The fort is picturesque for sure but Jaisalmer is a long way to travel just for for that. The Jain temples and havelis also look interesting but, again, are they that different than what I will have already seen in Jaipur and Jodhpur? Pushkar would be the easy choice if I were showing up during the camel fair. I'm not. I read about more scams and hassle in Pushkar than anywhere else. But it does look interesting. Bundi looks photogenic though it is harder to get to and, honestly, I'm not sure what is there beyond a fort and some step wells. A third option would be to fly up to Amritsar. This really intrigues me. The Golden Temple would be different than what I'd already seen in Rajasthan. I could go to the India-Pakistan border. The challenge with that option is that my final stop is in Dhikala. There aren't any appealing options for getting directly from Amritsar to Ramnagar. I'd have to fly from Amritsar to Delhi and then take the train back north to RMR. Despite this, I'm kind of leaning toward this option. What am I missing? What am I not taking into account? Any thoughts would be appreciated. 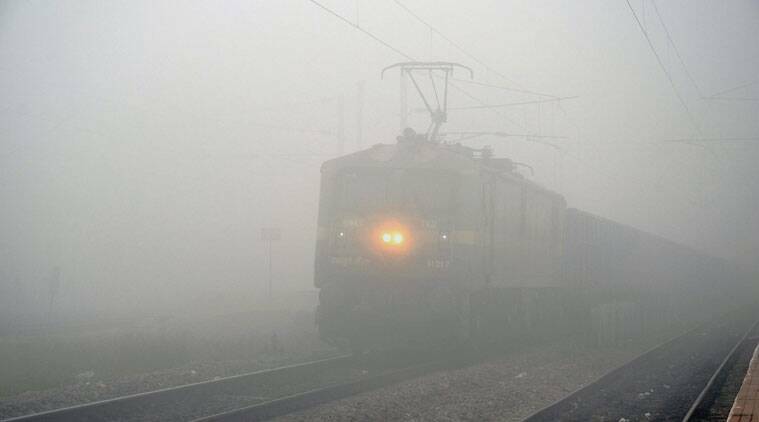 January is when the winter is in peak in India.Expect delays/cancellations with air and train travel especially with Delhi and Amritsar [and entire northern india]. The weather be quite disruptive to the travel plans.The visibility might also be poor.But Amritsar is one of the must see places in India and would be different from what would have experienced in Delhi, Varanasi, Agra.Jaisalmer is a charming place too.Speak to people about their life in the desert [Again safari will be very cold].I realized how fortunate I am hearing about their lives.Udaipur, Chittorgarh, and Ranakpur are other options. 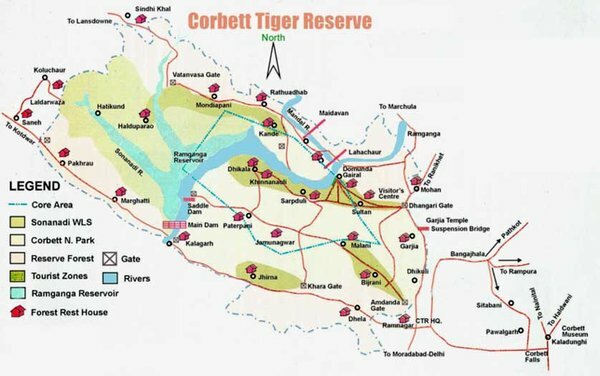 My idea of a perfect 18 night holiday would be to spend them all at Corbett, with a couple of days at either end for travel and to party in Delhi. Everyone's interests, budget, time-frame and personal objectives are so unique and subjective that it is pointless giving advice on A vs. B vs. C itinerary options. It is all about the people and the sense of time and place that will make any place worthy of a visit or not, and not the sandstone buildings or rock-hewn forts. If your days are limited and inflexible, then evaluate the experience in each place and the purpose of the visit for you. What is it that YOU like to do and NOT like to do? For example, your allocated 2 nights in Agra are two more nights than I ever want to spend in that charming city in my whole life. I went to a Sufi music fest in Ajmer in the late '90s with romantic notions of the place and was so appalled by the crowds and physical squalor that I discovered that I was demophobic. What do you hope to gain from the 2 nights in Jodhpur that you won't from your 3 nights in Jaipur? Jaisalmer, in contrast, is a completely different feel because of the frontier nature of the outpost and the desert landscapes. The fortress city is so different in look and feel that it is a unique experience, especially if you stay within its walls. Bundi/Jhalawar/Kahjuraho/Orchha etc. are charming places and particularly unique because they are off the beaten track with their small town feel. As for myself, I would never visit Rajasthan and not spend a few luxurious nights in Udaipur and its surrounds. I love that region (Mewar) and its people so. Amritsar, likewise, is a completely unmatchable experience because of the unique religious nature of the place (I loved its serenity and grace, and I'm not even religious), and the Wagah border hysterics close by (which was a complete put-off for me). If you don't have your wits about yourself, just as at Times Square or Pushkar, there are very good chances of being a victim of a scam at Jackson Hole, Wyoming. Originally Posted by santos_g15 January is when the winter is in peak in India.Expect delays/cancellations with air and train travel especially with Delhi and Amritsar [and entire northern india]. The weather be quite disruptive to the travel plans.The visibility might also be poor.But Amritsar is one of the must see places in India and would be different from what would have experienced in Delhi, Varanasi, Agra.Jaisalmer is a charming place too.Speak to people about their life in the desert [Again safari will be very cold].I realized how fortunate I am hearing about their lives.Udaipur, Chittorgarh, and Ranakpur are other options. Thanks, santos_g15. Ranakpur looks very interesting. I wasn't sure what else would draw me to that area (other than, of course, Udaipur). I'm not familiar with Chittorgarh though. I will check that out. as Santos says, the fog can hamper our travel plans. To handle tes delays it is wise to avoid destinations fae away from each other. Delhi - Varanasi - Jhansi (for Orchha) - Agra- Jodhpur - Jaipur - Ramnagar. If you replace Jodhpur by Bharatpur for the bird sanctuary you can minimize the travel distance furher. Thanks for your kind welcome and for taking the time to respond, ViShVa. You ask some good questions and make some good points. I'm a landscape photographer so my perspective is probably a little different than yours. Colors, color palettes, shapes and patterns are all of interest to me. www.tlinn.com I've seen many people share sentiments similar to yours about Agra but I can't imagine visiting India without seeing the Tajboth at the first light and last light. (The hordes can have midday.) Likewise, I have read many suggest that between Jaipur, Jodhpur and Jaisalmer, it is Jodhpur that I should skip. That may turn out to be correct but I find the geography and colors of the city very appealing. And I find Mughal and Rajput history intriguing so I will be spending time at the fort museum. Please don't take from my comments that I don't care about meeting the people of India. I believe that no matter where I end up I will enjoy meeting whoever lives there. So I'm trying to make my decision based on other factors. What do you like about Udaipur, other than the people of course, that makes it a "must see" for you? Originally Posted by vonkla as Santos says, the fog can hamper our travel plans. To handle tes delays it is wise to avoid destinations fae away from each other. Hi, vonkla. Thanks for your comment. I've read a number of people talk about fog delaying plans. I've never really experienced train travel before. Why does fog slow down a train? Is is a concern about what the train might hit on the tracks that can't be seen from a distance? And do trains just stop or slow dramatically when fog is encountered? As for myself, I would never visit Rajasthan and not spend a few luxurious nights in Udaipur and its surrounds. I love that region (Mewar) and its people so. 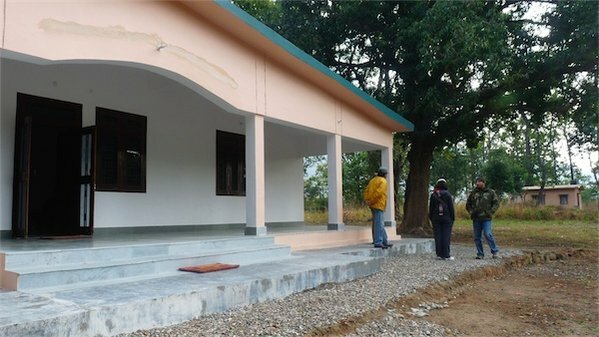 1) If you had your time in Corbett, how would you spend it? On safaris looking for animals? How common are animal sightings there in January? I've got to decide between six and eight Jeep safaris during my time there. Eight seems excessive but maybe not. 2) What is it, besides the people, that appeals to you about Udaipur? Originally Posted by tlinn ... 1) If you had your time in Corbett, how would you spend it? On safaris looking for animals? How common are animal sightings there in January? I've got to decide between six and eight Jeep safaris during my time there. Eight seems excessive but maybe not. Frankly, being in the forest with friends is heart warming enough. Animal sightings are common, of course, but tiger/leopard sightings are rare. But that is the joy of it. Some mornings we hear the calls of a tiger before setting out but never sight it. Other times, there she is walking casually on our jeep path. Originally Posted by ViShVa Here are a few. Some are stills from vids so not good resolution. Refer to the first two maps for the zones. Our preference is to hire all the rooms at one of the buffer zone FRHs (eg. Chaukham or Kolhuchaur) where we have to cater for everything ourselves. It is a major logistical exercise which requires pre-planning and our own vehicles, but there are no curfews as we have the whole zone to ourselves. 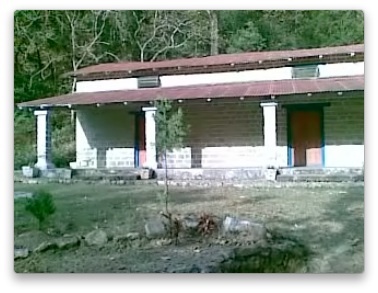 Originally Posted by ViShVa ... We normally stay at Kolhu Chaur [Lat: 29°42'27.30"N Lon: 78°34'25.29"E] in the buffer zone via Kotdwara but this time will probably stay in the park. The logistics of planning Kolhu Chaur are formidable. Principally because I'm a history buff, and this Mewar region, more than any other in Rajasthan, is vibrant with its annals and antiquities. Chittorgarh and Kumbhalgarh are fabulous, and I love the tranquility of Ranakpur, especially in the mornings. The Pichhola Lake makes for a welcome change from the arid landscapes generally around and the changing landscapes of the Aravalli Hills also make for a non-monotonous backdrop; oh, and I love the food. Jodhpur - Kumbhalgarh - Jaisalmer Trip - Advice Needed! Originally Posted by ViShVa First of all, if Kumbhalgarh is the hub of your trip then it’s better to start off from Udaipur, not Jodhpur. 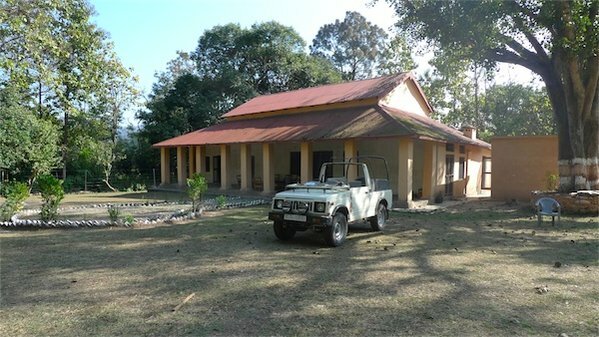 You can stay at the Mahindra Resorts, HRH Aodhi, Ghanerao Castle or stay at one of the many hotels near Ranakpur. 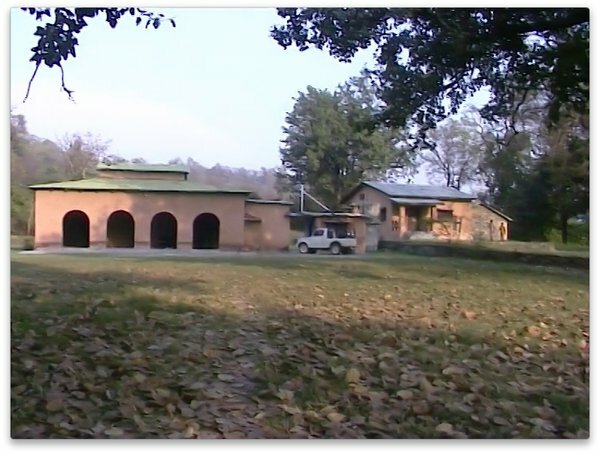 (Maharani Bagh, Fateh Bagh). HRH Aodhi Hotel - It is run by the Mewar Maharana's HRH Group. Aodhi is just about 4km from the main gate and is a good place to stay - great rooms (try and ask for room 19 - right at the top), food and bar, and deep in a verdant forest. I highly recommend the Ghanerao Castle! It is family run and very very charming with superb food. But it is much farther away from the Fort Gates than Aodhi if you want to see the Kumbhalgarh light show. On the plus side, it is much cheaper than the Aodhi. There are many hotels near the Ranakpur Temple, including the Maharani Bagh, but it is quite a trek on a really bad road to the gates of Kumbhalgarh if you want to see the fort lit up. It is run by ITC and the Maharaja of Jodhpur's hotel group, Welcome Hertitage. Ghanerao to Ranakpur is a good road and takes no more than 45 mins-1 hour at a gentle pace. If you go via Nathdwara then you could check into Ghanerao first, freshen up and then head towards Ranakpur. However, if you go via Gogunda, visit Ranakpur first. If staying at Aodhi, I'd visit Ranakpur first and then head to the hotel. The road from Ranakpur to Aodhi was absolutely horrendous when I went with huge pot-holes and bumps and took me over two hours in bad light because I delayed my departure for Aodhi as I wanted to be at Ranakpur for sunset. I did not get to Aodhi until way past dark. The road may have improved since. I was the only one on that road all through except for the company of the crescent moon and Venus! Ranakpur is beautiful, gentle and tranquil first thing in the morning (no photography allowed before noon), in the full blaze of the afternoon Sun and in the long shadows of Sun-set! And I am not religious! There are lots of very good places to stop for mini-breaks. For a lunch stop between Kumbhalgarh and Jodhpur, the Maharani Bagh is a decent option. It has small cottages in a lovely garden. I have halted there many times for excellent 'laal maas' lunch but have never actually stayed there. “The Welcome Heritage Group” has other hotels in the Marwar and Rajasthan area, but I have no first hand experience of the stay with them, preferring the HRH ones or smaller independents. 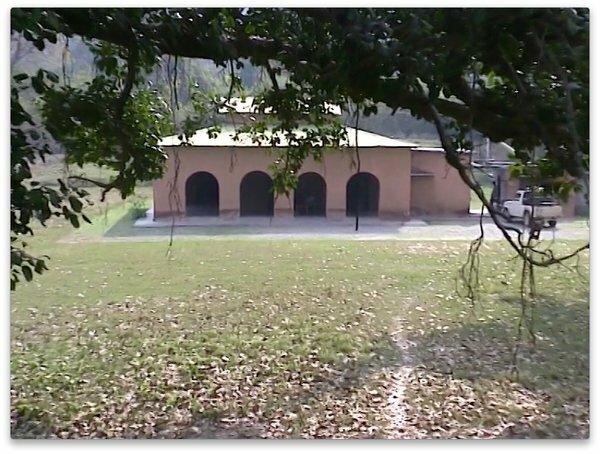 Another superb place en route is the HRH Fateh Bagh. A personal favourite is a little hotel on the route called the Rawla Narlai. It could work for you as a meal stop. They also have a sister hotel in Jodhpur called the Ajit Bhawan which I highly recommend. 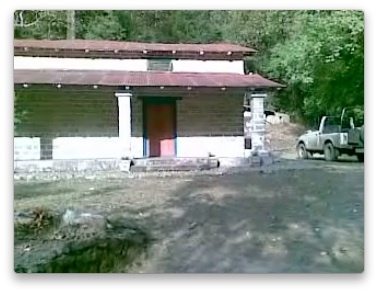 Both are small family run places with exquisite rooms and awesome food and much more charming than the larger hotels. Recommend Jaisalmer, Chittorgarh. Not been there but Kambhalgarh is something I would not mind. Jaipur, with apologies to Jaipur folks, is overrated and I would skip or shorten. I would shorten Agra stay too... love Corbett as well but not the wild commercial scene outside. I would stay inside in the FRH. If you have planned 2 days for Agra then you could do an overnight in Bharatpur. 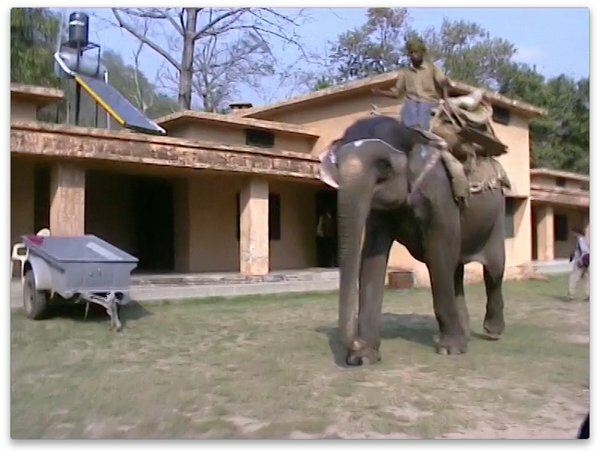 See my trip report for more information of what could be seen in Bharatpur. Why are you doing Varanasi first and Corbett last? 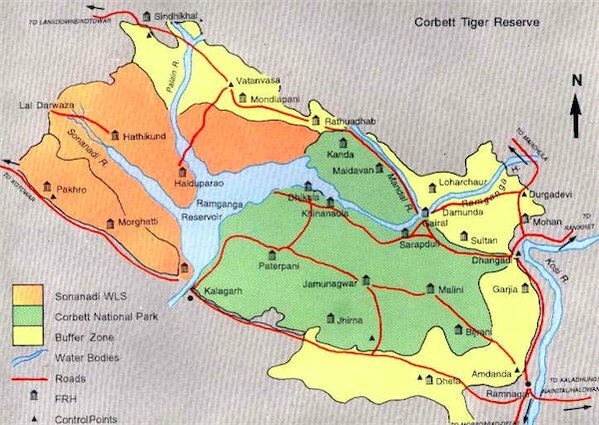 Would it not be logical to do Agra - Rajasthan - Varanasi - Corbett? Trains depend upon signal [red, green yellow] just like road traffic to switch tracks, cross over with other trains (Mostly there is one line on a given route and its doubled at only a few places/stations for crossover).The poor visibility hampers drivers ability to see the signal and there is a lot of unprotected road crossings too.The trains move at a very slow pace sometimes reduced to a crawl.In 2012, my train from Delhi came about 12 hours late to Agra and starting at Delhi at about 10 hrs late.The onward train is also used for the return journey and if the onward train is delayed, the return train is also delayed and the delay compounds with time. Originally Posted by tlinn Why does fog slow down a train? Is is a concern about what the train might hit on the tracks that can't be seen from a distance? And do trains just stop or slow dramatically when fog is encountered? During fog below is what the pilots of the train see. If you're a landscape photographer, you may want to go to sambhar lake - can be done from pushkar or Jaipur, bit easier to arrange a car from latter. Heres a picture I had taken. In Jaipur, climb the hawa Mahal - as early as you can. Views from galta and nahargarh are also good. In Ranakpur - ceiling carving while lying flat on your back. Chittorgarh is difficult to get a panoramic shot of as the fort is on a mesa with walls rising vertically over the rock precipice. Jodhpur, umaid bhawan is quite photogenic but the haze in the afternoon is bad.